Safety alert from HSE: There has been a change in enforcement expectations for mild steel welding fume after new scientific evidence that exposure to mild steel welding fume can cause lung cancer and possibly kidney cancer in humans. As a result HSE has issued a safety alert, click here to read more. Plymovent units provide effective solutions for fume extraction in your workplace. 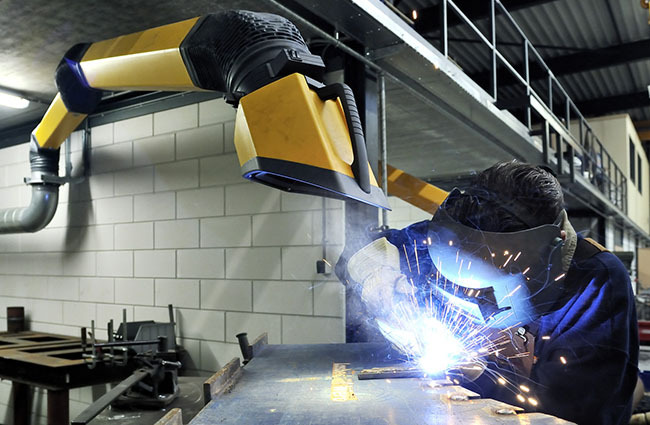 The range includes flexible extraction arms to capture fumes at source, mobile fume filters for extra flexibility around various workplaces and extraction workbenches ideal for welding booths.